This is the year's most overrated movie. 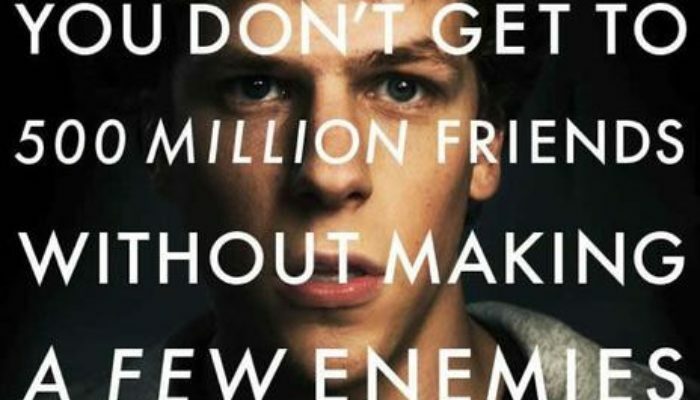 That's not to say that The Social Network isn't cleverly directed, well-written, and impeccably acted. It's all of these things, so from a critical standpoint, it is a “good” film. However, as a drama it's a sad, soulless affair about petty and selfish people doing hurtful things to each other out of greed and pride. In all fairness, the whole point of the movie seems to be that, in connecting the people of the world to one another, Facebook creator Mark Zuckerberg isolated himself by putting prestige before loyalty. That might be fine if showing the lonely consequences of such behavior wasn't overwhelmed by the other elements. That, or if this were the actual true story, but the film is irresponsible in taking extreme liberties with both the facts and its characterization of Facebook creator Mark Zuckerberg. Though Hollywood is no stranger to playing fast and loose with history, what's so troubling about The Social Network is that the story of Facebook is a generation-defining tale and some might accept this movie as face-value truth. For a more inspirational true story I recommend Invincible.